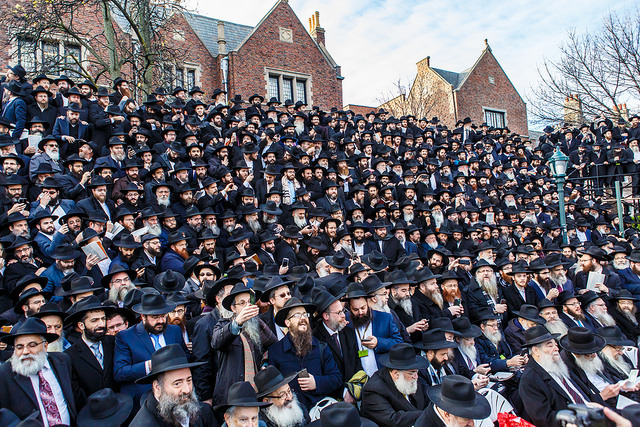 The world’s largest gathering of Orthodox rabbis takes place each year in Crown Heights when about 5,600 Chabad rabbis meet for four days in the fall. They come together for the annual International Conference of Chabad-Lubavitch Emissaries. This year’s opening day was October 31st, and the final day was Monday, November 4th. One of the highlights of the event each year is an enormous group photograph organized in front of the International Headquarters of the movement, at 770 Eastern Parkway in the center of Crown Heights, Brooklyn. Usually the mood during the photo shoot is one of lively friendship and joy as all the colleagues meet together to memorialize their attendance with a photograph. 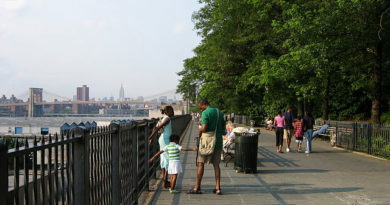 Rabbi Altein, arrived in Brooklyn after the Sabbath so he could spend the Sabbath with his community, which overflowed with worshipers who came together to support each other and mourn their community’s loss. The gathering of rabbis came from over 100 countries and were led by the delegation of rabbis from Pittsburgh in prayers and song in honor and memory of the slain Jews after the photo shoot was completed.